Since 1979 Ron Ferris and Son has been a full serviceroofing company in Rochester NY. We are family owned and operated which means you never deal with a pushy salesman or subcontractors. Our in-house shingle applicators are factory trained and certified and hold some of the best credentials available ensuring only the highest quality roofing installations. This status allows us to provide our clients with one of the roofing industries most comprehensive lifetime roofing warranties. 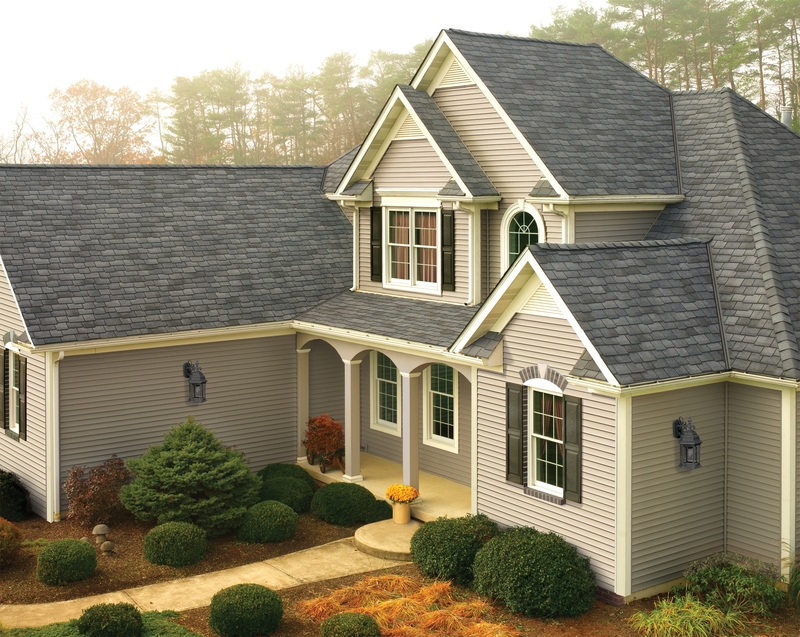 Replacing the asphalt roofing shingles on your home is a major expense. With over 30 years experience as a roofing contractor in Rochester NY we have the knowledge to help you choose the proper roofing materials and application to ensure maximum curb appeal and long lasting protection. Our roofing services include roofing tear offs, reroofs, roof repairs, flat roofing and new construction roofing. Ron Ferris and Son provides free roofing estimates that are fully itemized to explain the entire scope of your roofing project so you know exactly what you are buying.No payment is ever due until satisfied completion of your new roof in Rochester NY. As Rochester’s best roofer we provide lifetime roofing warranties on our roofing systems as well as workmanship. We purchase all of our materials locally and only use roofing materials manufactured in America. Our Roofing Rochester NY company carries full liability and workmans comp to protect our clients and their homes. Ron Ferris and Son is Rochester’s cleanest roofing company and we always protect your homes siding and landscaping when performing a roofing tear off. Our dumpsters are removed daily and meticulous ground clean up is part of a stringent check list performed on every job site. We are Rochester’s roofing specialist and an A+ accredited member of the BBB. So call today and experience true customer satisfaction. Call 288-0895 or request your free roofing estimate online. Maybe your not sure where to start or maybe you have replaced your roof before but don’t know about the latest products and warranties. Well you have come to the right place. At RFS we strive to educate our current and potential clients with the knowledge to make the best decisions on their roofing project. Your decision on how to install a new roof may have come from a neighbor or relative having a roof installed by a reputable roofing contractor. Or maybe you have been experiencing leaks which can no longer be ignored and want to enhance the house with the looks of a designer roofing shingle while you are at it.Whatever your situation is, roofing is expensive and you don’t want to make any costly mistakes. Including not thoroughly evaluating their roofing company, judging estimates on low price only and selecting products without comparison shopping.Also,not knowing what to expect during the installation of their new roof. With this, you can get the maximum benefit of knowing what to look for and what to expect when the work actually does begin. Referrals are the best place to start. Ask a friend or family who has installed a new roof in Webster NY and ask if they are satisfied with the roofing services. The World Wide Web is another great place to search for roofers in Rochester NY on search engines like Google. The yellow pages is the third place people can look,but steer clear of big ads with high overhead. Always ask for references and check for repeat business in the community. Length of time in business and whether or not they are a member in good standing with organizations like the Better Business Bureau. Make sure they have a vast knowledge of roofing and the installation procedures. Do not consider any bids from a roofing company that does not have workers compensation and liability insurance specifically for roofing projects. If your contractor is a roofer,but is carrying a general contractors insurance policy,the homeowner may be responsible for damages to property or persons in the event of a roofing accident.A deposit is generally required by most roofing companies in Rochester NY, but at RFS we require no payment until we have completed your project.Try to meet with your contractor in person and get a feel for your level of trust for him…Always get more than one estimate but remember to compare the quality and completeness of the roof system and application to be used not just the lowest price. Selecting roofing shingles is similar to picking out appliances or a new automobile……You are going to be living with your choice for a while so do your research,comparison shop and make sure to carefully weigh out your options. Sometimes a homeowner is selecting a new roofing shingle for function only and in this case a traditional standard three tab shingle would be suitable. Color is really the only appearance differentiation in a standard three tab strip shingle. If appearance and maximum protection is a factor you may want to step up to a designer or luxury series shingle.You can visit a local distributor like B&L Wholesale in Rochester NY to see various design and color choices.Ask your contractor for addresses of recent projects to see the colors in full scale. Make sure to check into the limits of the warranty as they can vary from 20 years to lifetime.Check the UL fire resistance rating,wind resistance and mildew resistance.There are many textures, forms and designs available which provide completely different looks so take your time and choose wisely. Roofing is a very dangerous job and best left to the pros at RFS, but it is important to understand the different aspects of a roofing project and what to expect upon install. new roof depending on the location.Make sure this is determined before the start of your roofing project and whether or not your contractor will be acquiring the said permit. 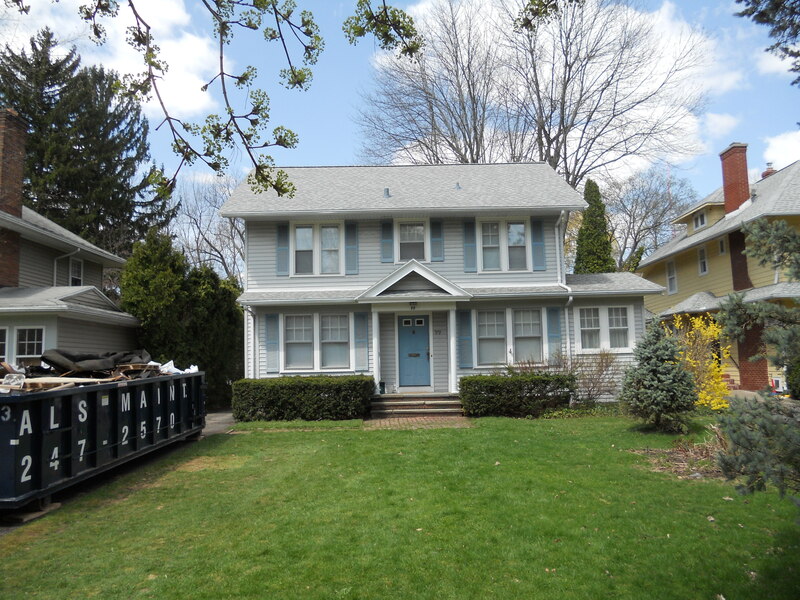 REROOF/TEAR OFF – There are two options available for new roof installations in Rochester NY. A complete tear off has the added benefits of checking for rotted decking or condensation problems from inadequate roofing ventilation. With a complete tear off ice and water shield waterproofing underlayment can be installed to prevent leaks from ice damming. DISPOSAL-Most roofing services will include removal of all debris. Most roofers will have a dumpster delivered to the job site or use a dump truck or trailer. ROOFING MATERIAL DELIVERY-materials can be delivered to your roofing project the day of installation directly to the roof top or place on the ground and carried on a ladder hoist or laddervators. INSTALLATION- This is one area that can be very grey and that is why it is important to interview your potential roofing contractor in person.A professional owner will be on site during the install and handle any problem that may come up without hesitation.An expert roofer does not play loud music or use vulgar language.They treat their coworkers and most importantly you and your family with respect.Make sure that your roofing services take the proper precautions to protect your siding and landscaping when performing a roofing tear off. Installation time can vary based upon many factors such as job size,roofing materials to be used and roof slope. Extreme Rochester NY weather like wind, rain and low temperatures can also prolong installation. You want a new roof installation from a roofing contractor who keeps your job site and his roofing tools neat and clean.They should take the necessary measures to protect the siding on your home and landscaping. Now that your contractor is on the job and set up to work here are some basic roofing procedures to expect. Your roofing Webster NY should be torn off so the existing roofing deck can be inspected to rot or evidence of mold. If there are any defects in the wood it can be replace at this time.A waterproofing underlayments can then be applied to roof eaves, valleys and any roof penetrations.The rest of the decking can be covered by a water resistant felt, like Certainteed Diamond Deck. It is a scrim reinforced synthetic felt that provides maximum protection wile allowing your decking to breathe.They will then install new asphalt roofing shingles like the Certainteed Landmark Series designer shingle.To achieve proper roofing and attic space ventilation as well as ice dam prevention make sure your roofing services include a Shinglevent 2 ridgevent system and soffit vents to promote proper air and vapor exchange as well as a more cool roof deck in the winter to prevent snow from melting too rapidly thus causing ice damming.To cap things off your roofer in Fairport NY will install hip and ridge shingles that accent your color choice. When installing a new roof in Wayne County NY homeowners who want to increase the value of their property, increase its aesthetic appeal and get long lasting quality should call a local Wayne County roofing contractor who will do the best job. Replacing your existing asphalt roofing shingles is a big, expensive job so do your homework and form a plan. Periodically perform a visual inspection of your roof for signs of wear and tear.Instead of waiting for a leak to cause extensive interior damage or mold, reroof in Walworth NY before your current roof fails to protect you. When interviewing roofing services in Macedon NY choose one that will ensure to leave your home looking better than ever. One that will clean your seamless gutters and yard after performing your roof repair in Wayne County NY. A roofing company that will take pictures of their application and save it on their iPhone, iPad or Facebook page.If they do not, perhaps there is a reason they don’t want to take a picture of their work to show to potential clients. While replacing a new roof in Webster NY is best done in the summer an experienced roofing company can perform a top quality application on dry days during the winter months as well. Rain can also prolong the installation of a new roof ,because asphalt roofing materials should only be applied over dry surfaces. The cost of replacing a roof in Victor NY will depend on the type of roofing materials you choose and the totals squares of roofing necessary to cover your home. Steeper roofs are harder and often slower to install than Rochester flat or low slope roofing,so consequently installation costs can be greater.Homes with cedar shingles or rotted roof decking may need to install a new plywood decking which can signifacantly increase the overall project cost. Typically an expert roofer in Rochester NY will take 1-3 days to perform a new roof in Fairport NY. However if roof decking needs to be replaced or it rains it may take longer. Once you choose a roofer in Irondequoit NY they will remove all of the old roofing shingles, examine the existing roof decking and replace any if necessary. Now they can install ice and water shield protection, synthetic roofing felt and lifetime roofing shingles. A roofer in Walworth NY will also install Shinglevent 2 ridge vents on all roof peaks for maximum roofing and attic ventilation. A quality roofing company will replace any necessary roof flashings. An experienced team will work efficiently and have the proper tools for any roof repair .Make sure your certified roofer takes the proper precautions to provide you with the correct level of protection.Your roof is protecting your family, your possessions and the structural integrity of your home. Why trust it to anyone but the best. When you choose Ron Ferris and Son, you make a decision that assures maximum quality, curb appeal and long lasting protection. RFS is take roofing Rochester NY to a higher level. We outperform our competitors in every category from price point to quality applications. Make a decision that will keep your home and family protected for years to come and request your free roofing estimate in Wayne County NY today at 315-524-8925 or Monroe County NY at585-288-0895.